Derlea Teams Up With Spread the Net to "Spread & Save"
TORONTO, ONTARIO -- (Marketwire) -- 04/06/10 -- Editors Note: There are three photos associated with this press release. In support of World Malaria Day on April 25 and to celebrate the launch of three new flavoured spreads, Derlea Brand Foods (www.derlea.com) has teamed up with Spread the Net (www.spreadthenet.org) to sponsor the first-ever Moms Helping Moms campaign. To kick-off the new campaign appeal, Derlea and Spread the Net are inviting Canadian moms to "Spread & Save." Beginning April 1, 2010, for every new Derlea spread purchased in Canada, the company will donate 50 cents to Spread the Net to purchase bed nets that save lives. The participating products include the new trans-fat free Honey Pecan Spread, Cinnamon Raisin Spread, and Sundried Tomato & Herb Spread. 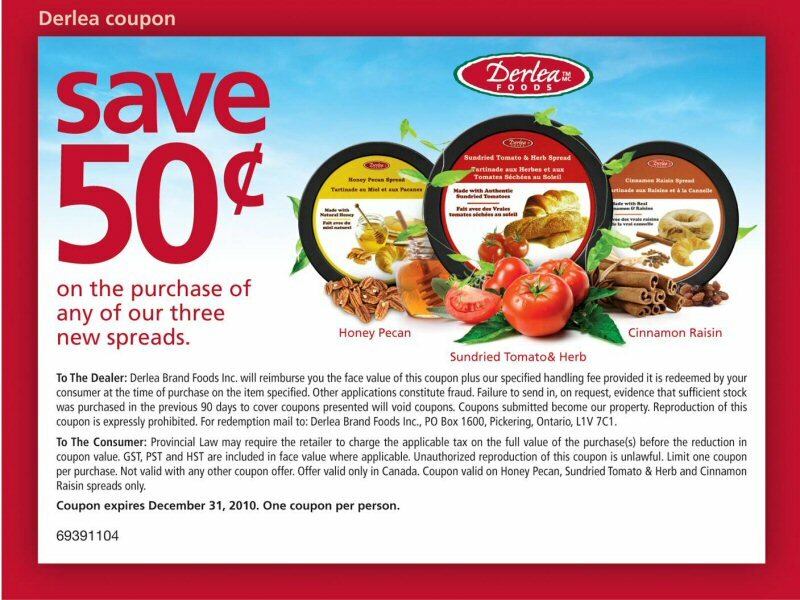 In addition to supporting this life-saving program, moms can save 50 cents off the purchase of any of the new Derlea spreads by downloading a coupon, available at www.derlea.com. "Many people are already familiar with our grassroots approach to raising funds for Spread the Net, especially the incredibly successful student challenge that is championed by my friend and Spread the Net co-founder, Rick Mercer," said Belinda Stronach, co-founder Spread the Net. "As a mom, I know moms are very concerned about the health and welfare of women and children around the world. That's why we are delighted to have Derlea kick off our Moms Helping Moms campaign appeal. By participating in the Spread & Save campaign, moms can help to save lives in Africa." 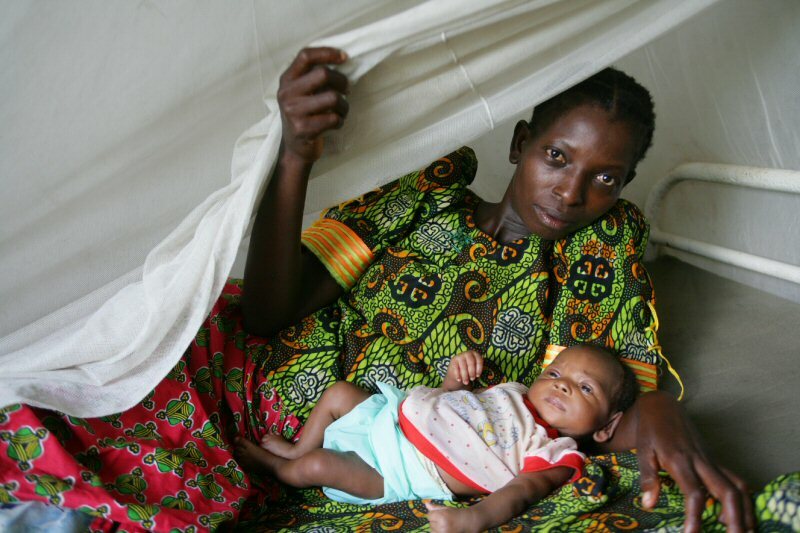 Pregnant women and children in Africa are particularly vulnerable to severe illness and death caused by malaria. In fact, every 30 seconds, a child dies of malaria. Bed nets help to reduce malaria transmission by at least 50 per cent. "Derlea is proud to support Spread the Net's first-ever Canadian Moms Helping Moms campaign," said Sam Geraci, President of Derlea Foods, headquartered in Pickering, Ontario. "With Spread & Save, moms can feel good about spreading a little flavour to their morning breakfast and also feel good about helping other mothers get access to life-saving nets so they, too, can provide a healthy environment for their kids." Each bed net costs $10.00 and Derlea will donate 50 cents for every new Derlea spread purchased in Canada with the hope of being able to fund 2,500 nets, which will help to save thousands of lives. All three Derlea spreads are trans-fat free and ready to use. Simply spread the sweet flavours on toast, bagels and croissants-anywhere you might use butter or plain margarine. Or use Derlea savoury spread to prepare a quick and easy bruschetta. To download the coupon and for recipe ideas such as Cinnamon Raisin Oatmeal Cookies, Honey Pecan Cupcakes, and Sundried Tomato Bruschetta, visit www.derlea.com. For over a quarter of a century, the Derlea Family has been providing fresh, authentic Garlic, Ginger and Sun Dried Tomato products in convenient ready-to-use jars and tubs. From humble beginnings as a husband and wife team based in Ontario, Derlea has now grown into a market leader where the line of products can be found in the fresh produce, dairy and grocery sections in major grocery retailers across Canada. Never compromising on taste, only fresh, authentic ingredients go into every product. Derlea also doesn't take a chance on quality; so all products are made here in Canada. For more information, visit www.derlea.com. Spread the Net is a hip, viral, largely web-based campaign designed to educate, motivate and inspire Canadians to help eradicate malaria by fundraising to support the purchase and distribution of bed nets. Spread the Net was founded in November 2006, by Belinda Stronach and comedian Rick Mercer. For more information about Spread the Net please visit www.spreadthenet.org. These delicious cookies are simple to make and perfect for the school bake sale or an afterschool treat for the kids. Try substituting plain margarine or butter with Derlea's new Cinnamon Raisin Spread - it's trans-fat free and adds authentic flavour. And, here's some great news you can feel good about: Derlea will donate 50 cents for every new spread purchased in Canada to Spread the Net (www.spreadthenet.org), a Canadian organization that provides bed nets to families in Africa to prevent malaria. So, you can spread some flavour and save lives, too. 2. Mix together Derlea cinnamon raisin spread, sugar and egg. 3.   well, then add oats and let sit in the fridge for 30-60 minutes. 5. Bake 9-10 minutes in oven. 6. Let sit for 5-10 minutes before removing from cookie sheet. You can find more easy recipes and coupons online at www.derlea.com. Everybody loves cupcakes. Perfect for a party or to satisfy that sweet tooth, the kids will love to decorate their own. Try substituting plain margarine or butter with Derlea's new honey pecan spread - it's trans-fat free and adds authentic flavour. And, here's some great news you can feel good about: Derlea will donate 50 cents for every new spread purchased in Canada to Spread the Net (www.spreadthenet.org), a Canadian organization that provides bed nets to families in Africa to prevent malaria. So, you can spread some flavour and save lives, too. cups. Sift or mix together flour, baking powder and salt. mixed. Add a whisked egg and milk, and then mix well. 3. Add flour mixture a little at a time while mixing. Beat well. 4. Fill paper cupcake cups 2/3 of the way with batter. before removing from muffin cups. Add a little rustic Italian flavour to your suppertime tonight with this easy-to-prepare Bruschetta. Try substituting plain margarine or butter with Derlea's new sundried tomato and herb spread - it's trans-fat free and adds authentic flavour. And, here's some great news you can feel good about: Derlea will donate 50 cents for every new spread purchased in Canada to Spread the Net (www.spreadthenet.org), a Canadian organization that provides bed nets to families in Africa to prevent malaria. So, you can spread some flavour and save lives, too. 1. Preheat oven to 450 degrees F.
garlic, olive oil, basil in a bowl, mix and set aside. sundried tomato and herb spread. 5. Spoon on the tomato mixture. Sprinkle with salt, pepper and cheese.